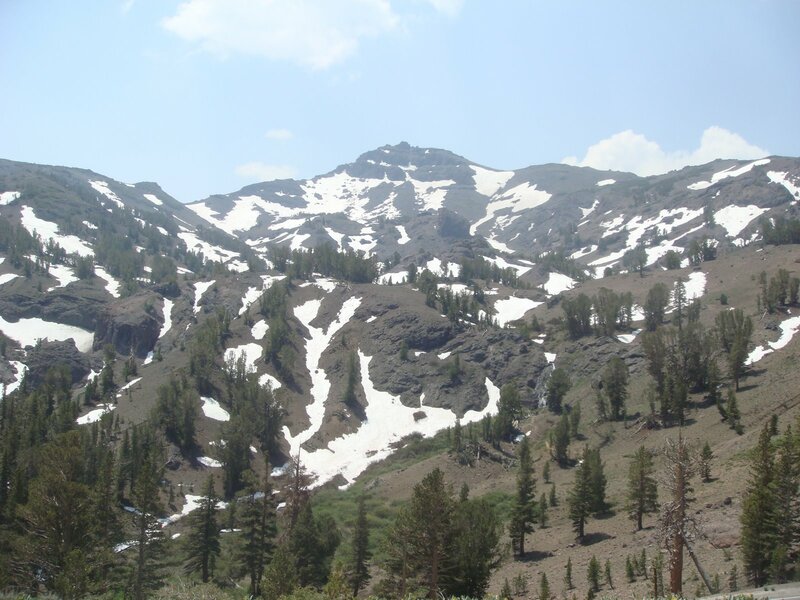 Following my visit to Twain Harte last year (2008), I opted to return home via Sonora Pass rather than through the embarrassment of California that is the Central Valley. 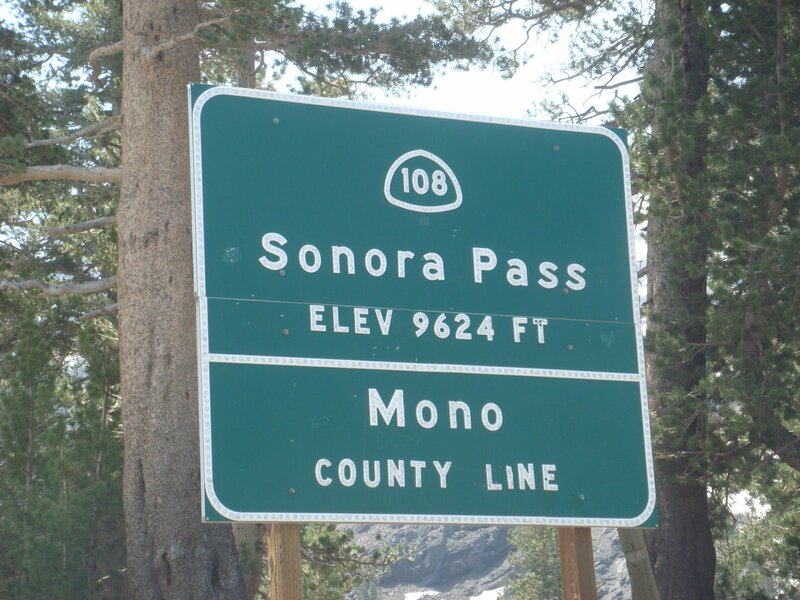 After mentioning my intention, my father had made an offhand comment along the lines of, “Yeah, it’s a drive worth doing.” In hindsight, he should have said, “Yeah, well, your life will be devoid of any meaning until you make the drive through Sonora Pass.” Armed only with my father’s tepid endorsement of my route through Sonora Pass, I was completely unprepared for the beauty and grandeur that awaited me. 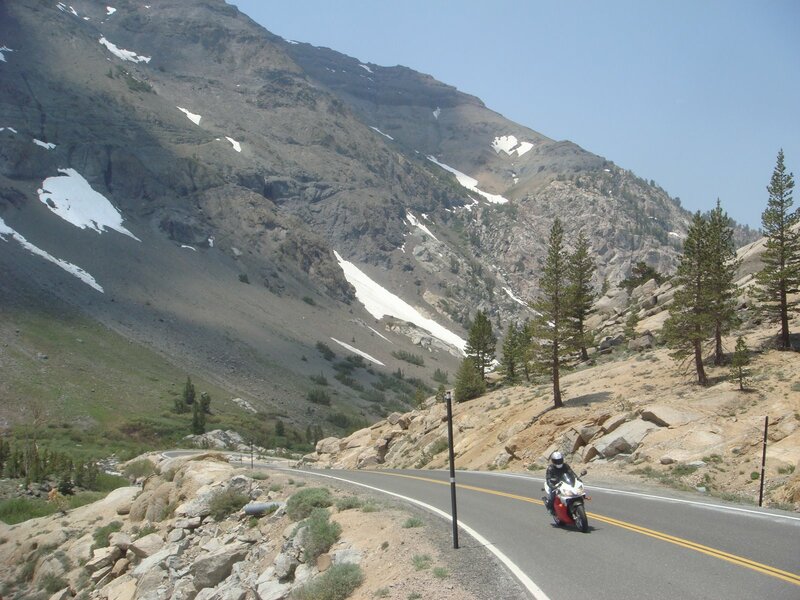 Starting from Oakdale in the Sierra foothills, you drive east on Highway 108 through rolling hills, past rock fences and into the gold country at Jamestown, and beyond to Sonora, Twain Harte and into the Sierra Nevada. 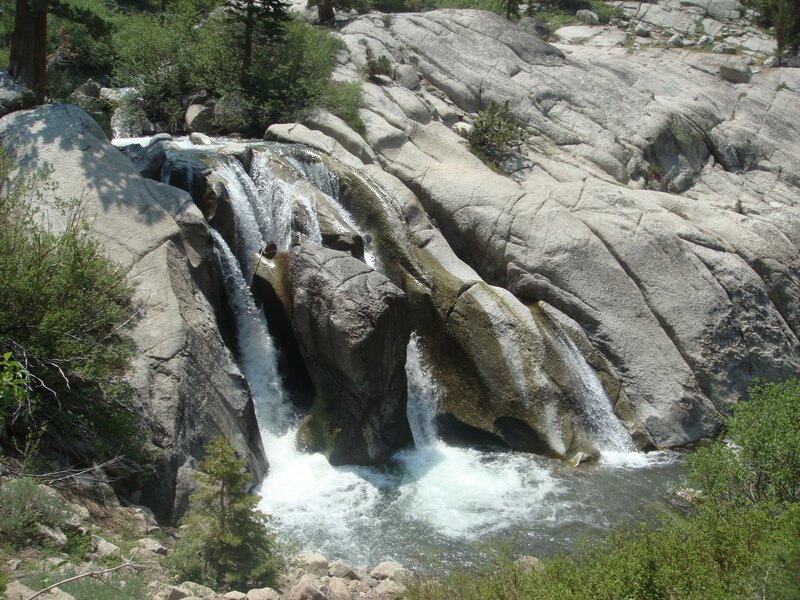 In the process you enter Stanislaus National Forest and a series of cut-off roads to the Stanislaus River. 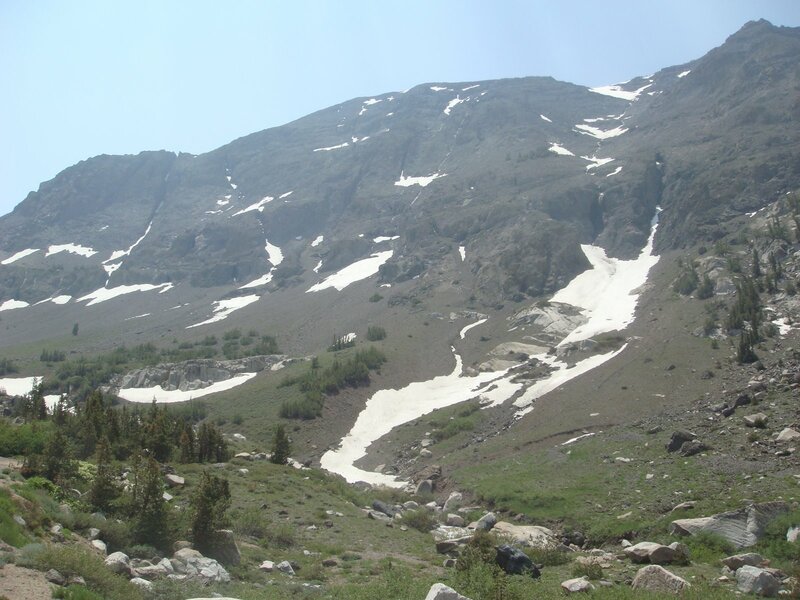 You pass Pinecrest, Dodge Ridge, Beardsley Lake, the Dardanelles, Kennedy Meadows and finally top out at 9,624-foot Sonora Pass. 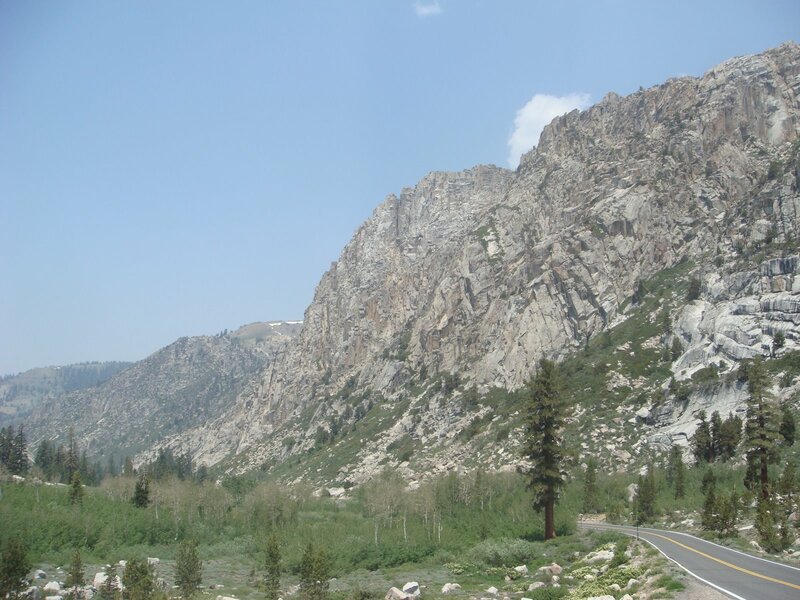 Before starting with the pictures, I regret to say that when I made this drive there were a number of forest fires burning across California. 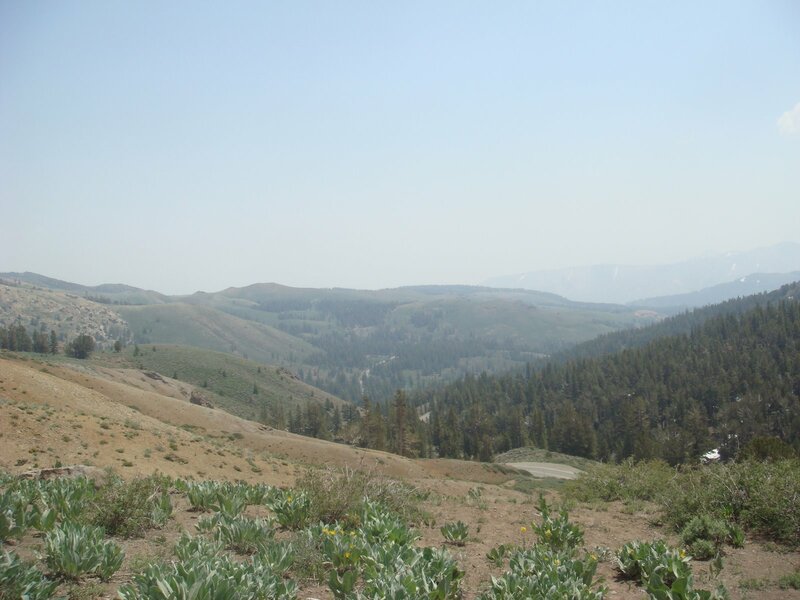 As such, some of the photographs at lower altitudes are regrettably somewhat obscured by haze. One stop I strongly suggest you make is for Donnell Vista. 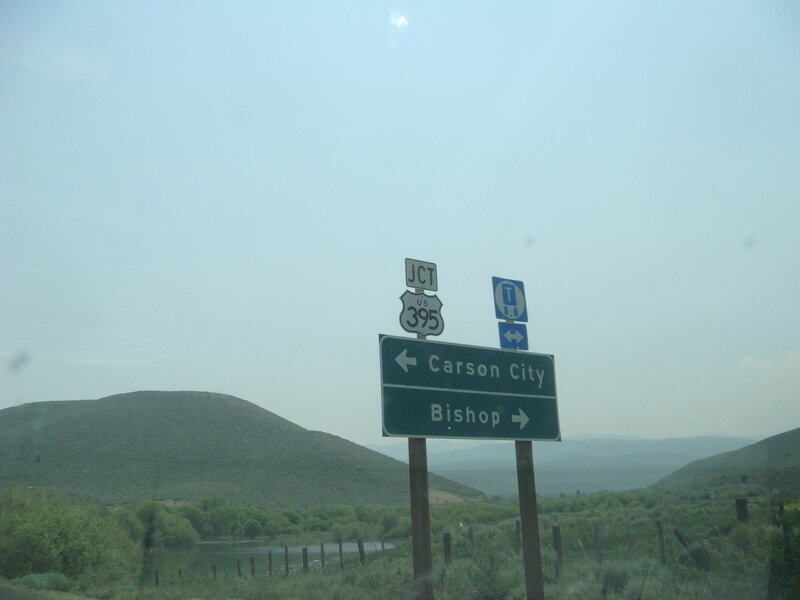 Before you reach the cut-off road on the left for Clark Fork, look for the signed access road on the left for the Donnell Vista. 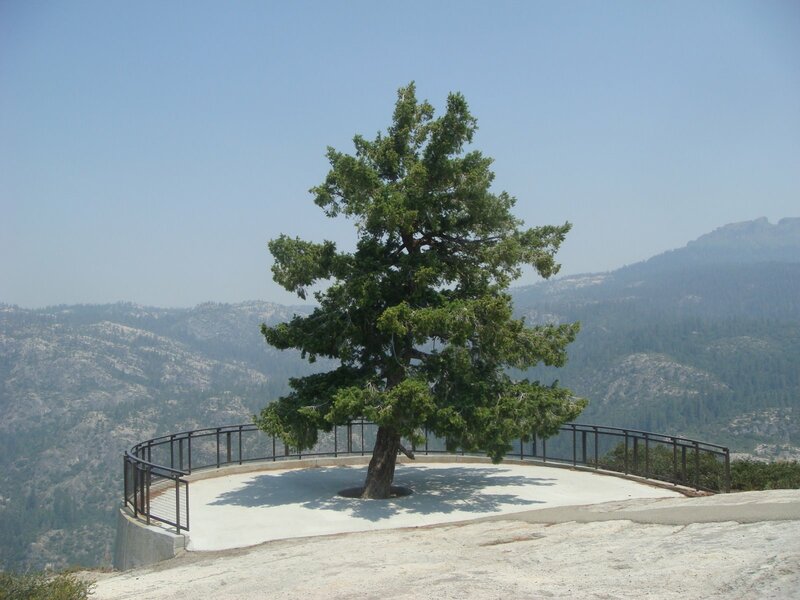 From the parking area, a 20-second walk leads to a towering lookout over Donnell Reservoir. 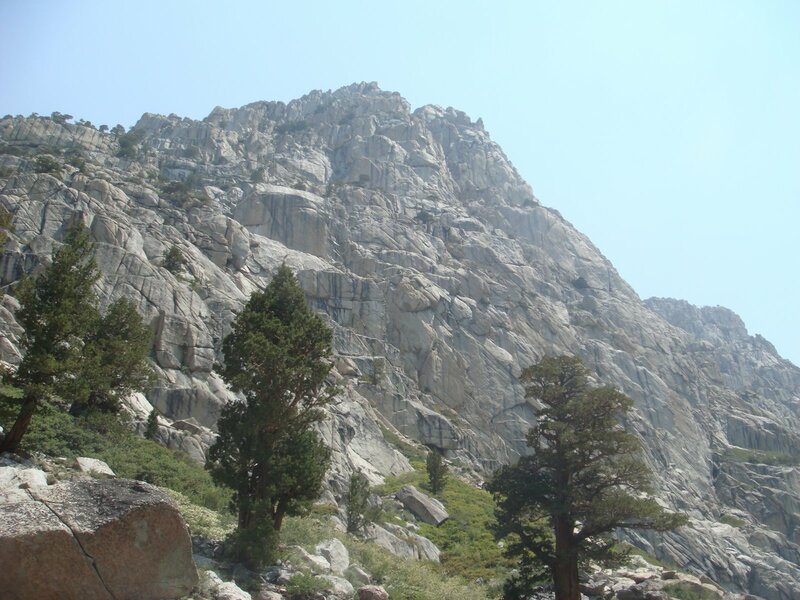 It looks like a canyon out of Yosemite, complete with granite walls, a miniature El Capitan, and in the spring, waterfalls. 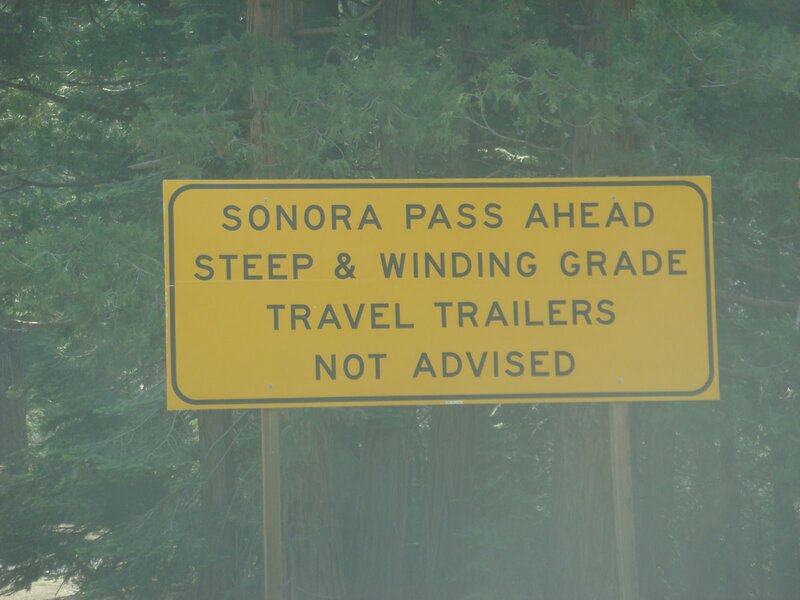 But don’t stay for too long because Sonora Pass awaits you… And any place where travel trailers are not advised should act as a magnet for the type of reader this site attracts. You can see what I mean about the smoke in this picture, but it is still a beautiful view and the entire journey is filled with sights like this. I didn’t even know this waterfall was here when I pulled over to grab a sweater from the trunk of my car. 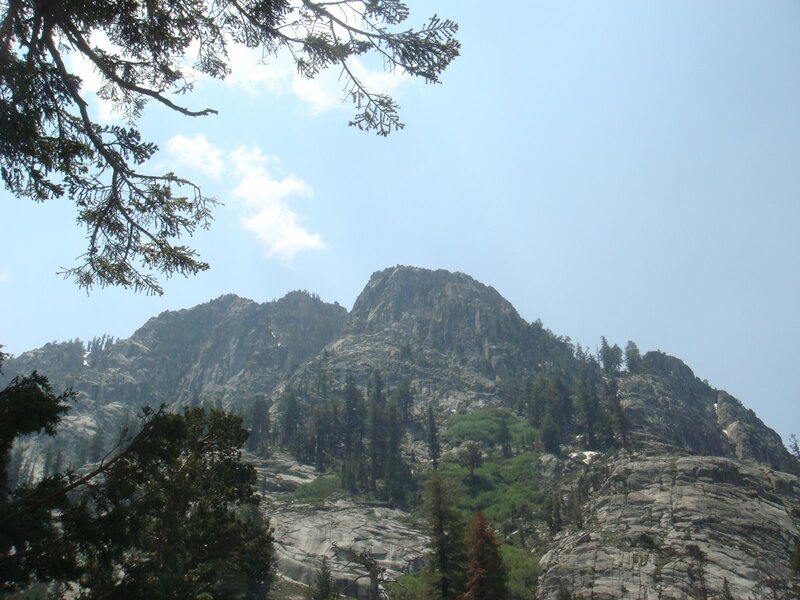 However, it is an ideal example of the scenery along Highway 108 and the surprises that you can uncover any time you stop along the way. Although I was in my car because I had a fair amount of gear with me, it would be an absolutely brilliant run to take on a motorcycle as this gentleman below is doing (And I’m not making a sexist assumption that he is a male because I stopped to talk to him earlier in the drive). 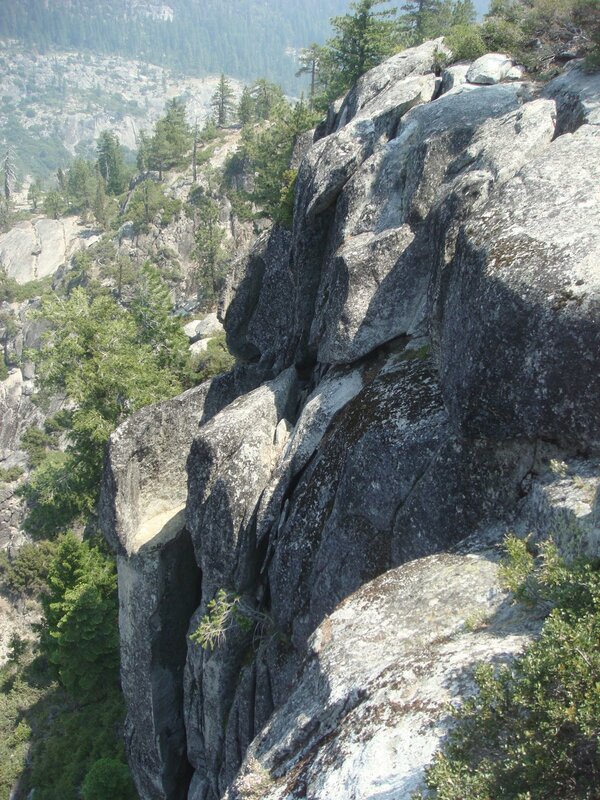 This is the summit, but not the end of the worthwhile views. 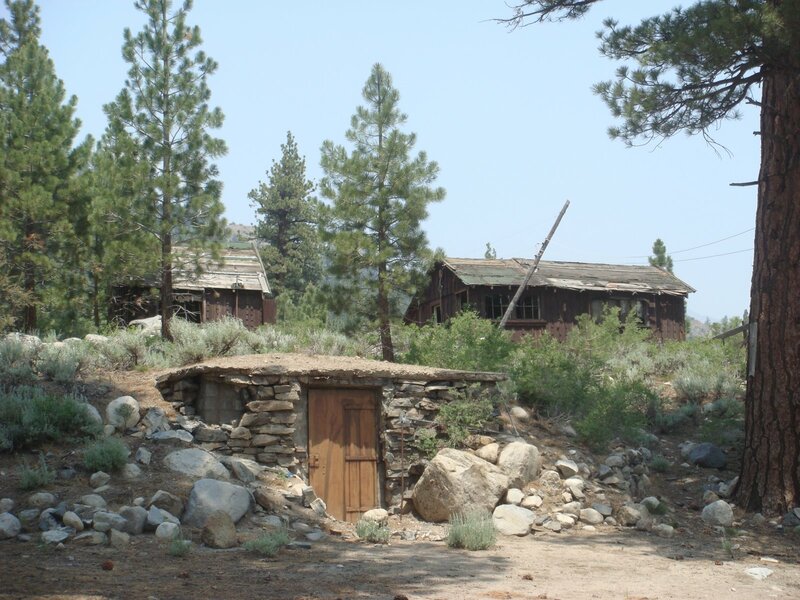 Heading down the Eastern Sierra Nevada, I noticed this ghost town along the road. I know nothing about it, but it looks interesting. And this is it. 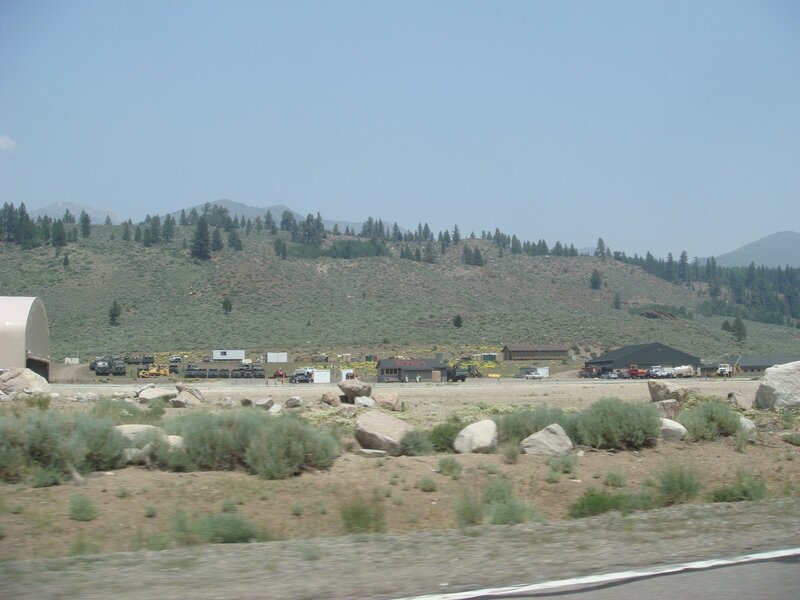 Shortly after the Mountain Warfare Training Center, Highway 108 runs into Highway 395 and terminates. All in all, it is a drive I cannot recommend highly enough. 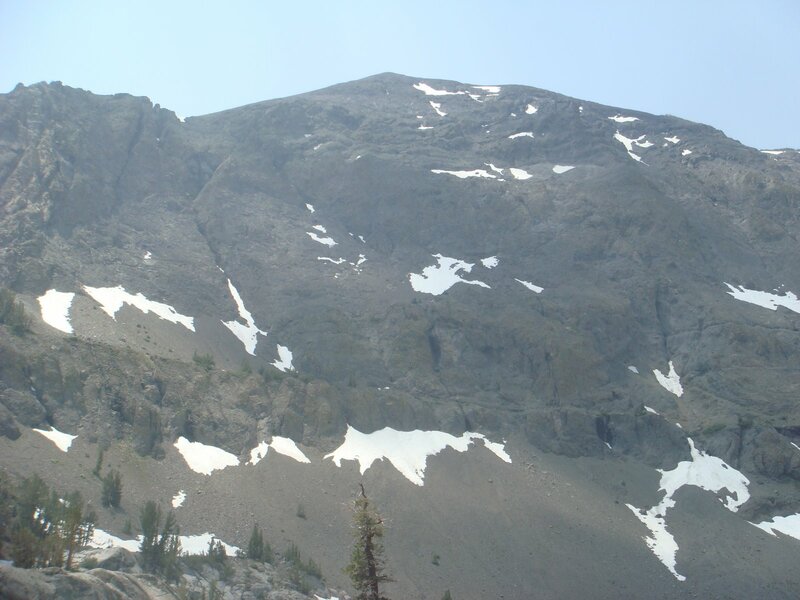 Tags: Donnell Vista, Highway 108, Justin Ames, Sonora Pass, Sonora Pass Summit, Stanislaus National Forest, Toiyabe National Forest. Bookmark the permalink. I wanna kick things off by saying that I am the fun number one of your blog because you, J.Q.A., have a great writing talent. All your posts are really interesting. I enjoyed looking at the pics of this post. 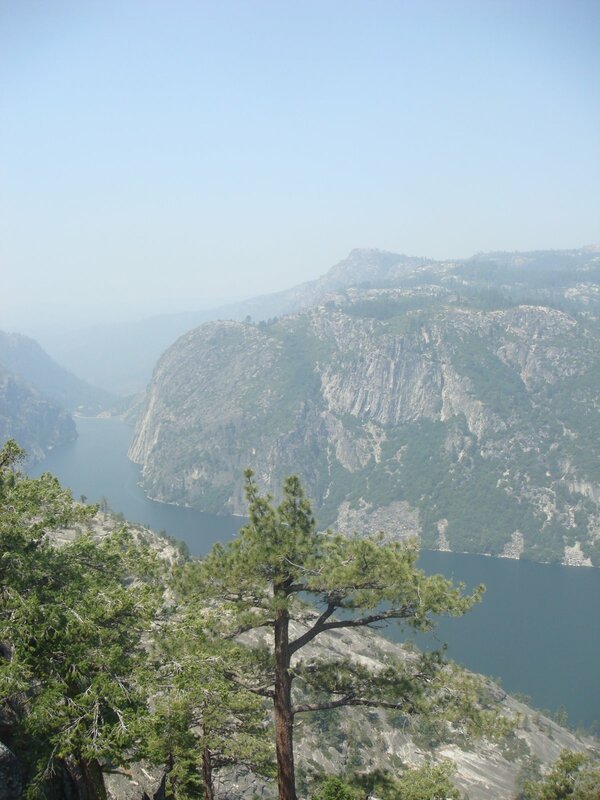 Amazing views… and on top of that, no obnoxious tourists! 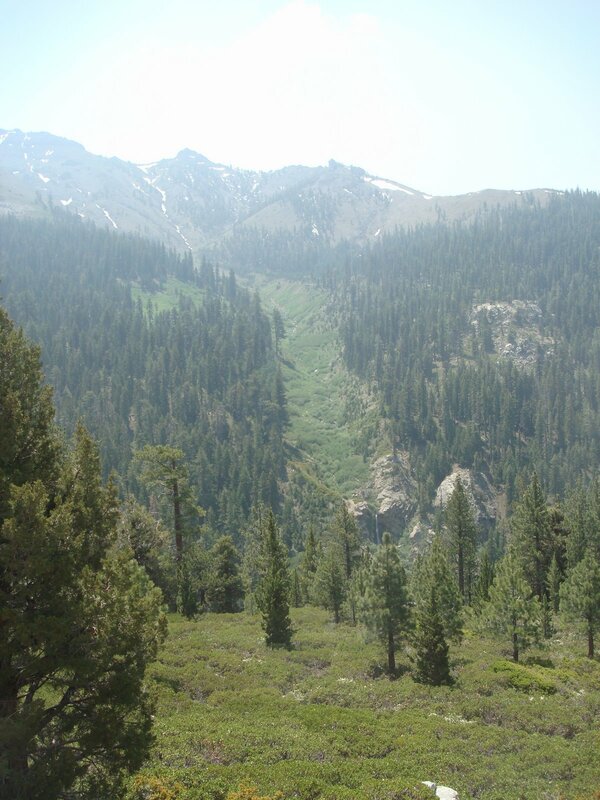 That imbaresment of California happens to be where your food comes from so pull your head out and realise that.